The first services at this church were held in small log cabins, and the very first preachers traveled on horseback. 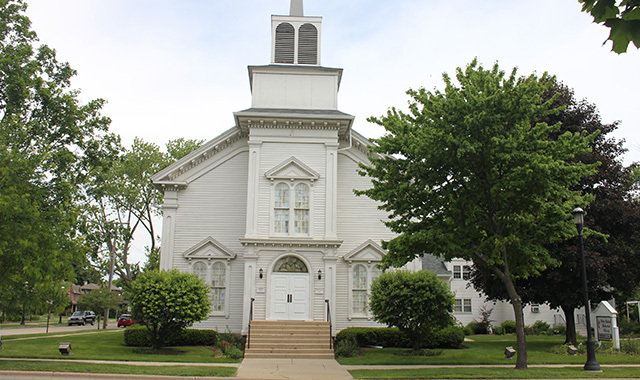 Things changed in 1859 when a small frame church was built on Van Buren Street in East Dundee, near where Immanuel Lutheran School currently sits. Throughout the next several years, the church continued to grow, and in 1922 the congregation decided to purchase a former Baptist church on the other side of the river. They updated the auditorium, installed stained-glass windows and hung new lights, which are still used today. In 1954, the congregation bought a residence at 310 W. Main St., to serve as a parsonage. That purchase came with additional land, which allowed for a building extension that later became church offices and a pastor’s study. 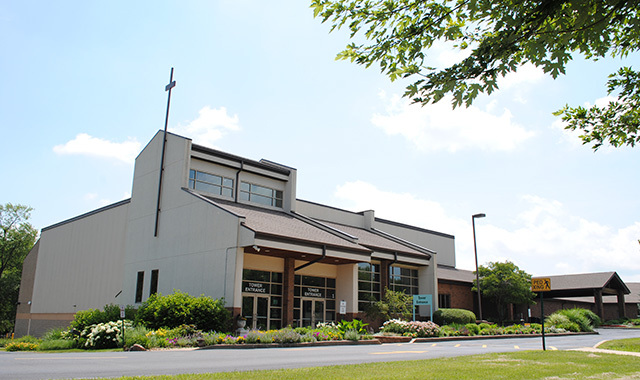 In the years that followed, the sanctuary was completely renovated; new wiring and air conditioning were added. The church also became handicap-accessible. Today, still worshipping in that old Baptist church, this congregation supports numerous local, national and global missions, including Public Action to Deliver Shelter, or PADS of Elgin, which offers shelter and support services to area homeless. Church members prepare lunches for PADS on the first Sunday of each month. Church members also participate in Coins for Hunger, where they make donations for local hunger ministries including Feed My Starving Children. Pastor Carol Hill leads worship services each Sunday at 10 a.m. In 1875, a group of Swedish immigrants began meeting in a chapel on the Dole Mansion property in Crystal Lake. The Rev. Peter Arvedson traveled to services in his horse and buggy. In 1893, land was given to the congregation and money was donated to build a new church building on Lincoln Parkway. The church was non-denominational and had no special creed. The church was organized into The Swedish Mission Church in 1903. The location and people continued to change over the decades, but to this day, it remains a special place of worship for the community. Church members are celebrating their congregation’s 125th anniversary this year with several quasquicentennial events. The celebrations culminated with a weekend celebration in August. Outreach means a lot to this congregation, especially when it involves other parts of the world. The church partners with missionaries and sends its own mission team internationally. Members have sent medical and construction teams to Honduras as well as several medical teams and educators to East Asia. Pastor Jay Childs leads services each Sunday at 9 and 10:45 a.m. Visitors are encouraged to feel comfortable, so there’s no dress code. This entry was posted on Monday, September 24th, 2018 at 11:59 am	and is filed under Mind & Spirit. You can follow any responses to this entry through the RSS 2.0 feed. Both comments and pings are currently closed.